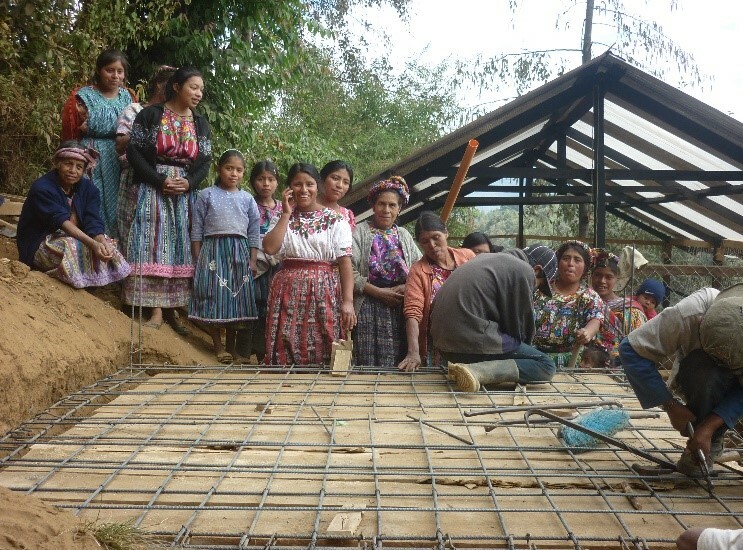 AMA, the Highland Women’s Association, was set up in 1994 by Mayan women from rural communities in Western Guatemala. Economic and social pressures, and changing weather patterns have made these communities more vulnerable, and AMA has found effective ways to build the skills, tenacity and capacity of women as agents of change in their villages. Twenty years on, AMA is now a strong, grassroots association with 200 member organizations and a reach of thousands of people. Recent AMA initiatives include installing fuel-efficient stoves in homes, reducing dependence on firewood and improving the health of families who no longer have to breath in smoke. The time that women spent using wood fires for household tasks has also been freed up for more productive activities. 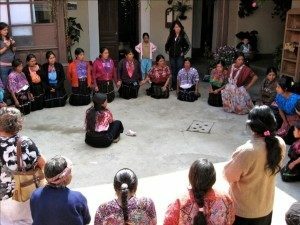 AMA has enabled 150 women to develop skills and techniques to sell traditional woven cloth direct to buyers. Meanwhile, men in some villages have worked on sewerage projects, installing new drainage systems to improve health and sanitation facilities.